Todd Olivas is proud to present this deposition suite as one of our premier venues! We have a highly trained staff and a gorgeous reception area that greets you upon entering. 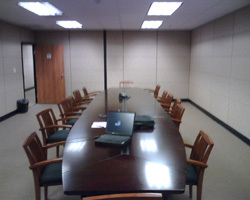 We have three fully-equipped deposition rooms that include high speed access to the internet.